Munther Omar Saleh, 22, of Queens, New York, was sentenced today to 18 years in prison, to be followed by a term of 10 years’ supervised release, for conspiring and attempting to provide material support to the Islamic State of Iraq and al-Sham (ISIS), a designated foreign terrorist organization, and for assaulting and conspiring to assault federal officers. Saleh pleaded guilty on Feb. 10, 2017, to all counts in the indictment. Acting Assistant Attorney General for National Security Edward C. O’Callaghan, U.S. Attorney Richard P. Donoghue for the Eastern District of New York, Assistant Director in Charge William F. Sweeney, Jr. of the FBI’s New York Field Office and Commissioner James P. O’Neill of the NYPD made the announcement. The sentence was issued by U.S. District Judge Margo K. Brodie. As alleged in the indictment and in other court filings, Saleh and codefendant Fareed Mumuni conspired to support ISIS by helping their coconspirators attempt to travel to ISIS-controlled territory in order to join ISIS, and by plotting to use a pressure-cooker bomb to conduct a terrorist attack in the New York metropolitan area on behalf of ISIS. On June 13, 2015, Saleh and another coconspirator were arrested in Queens after they attempted to attack members of law enforcement by charging at a federal officer who was performing physical surveillance of Saleh. Saleh and the coconspirator were armed with knives. Following his arrest, Saleh admitted to agents that he had discussed with Mumuni physically attacking the law-enforcement officers who were surveilling Mumuni. On June 17, 2015, during the execution of a search warrant at his residence in Staten Island, Mumuni was arrested after he repeatedly stabbed an FBI agent in the torso with a large kitchen knife. The knife did not penetrate the agent’s protective body armor, and he sustained minor injuries. Mr. O’Callaghan and Mr. Donoghue praised the agents, analysts and prosecutors for their dedication and commitment to this investigation and prosecution. 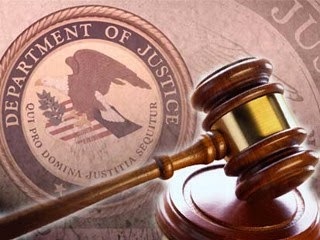 The government’s case is being prosecuted by Assistant U.S. Attorneys Alexander A. Solomon, Douglas M. Pravda, and Ian C. Richardson, with assistance provided by Trial Attorneys Justin Sher and Bob Sander of the National Security Division’s Counterterrorism Section.